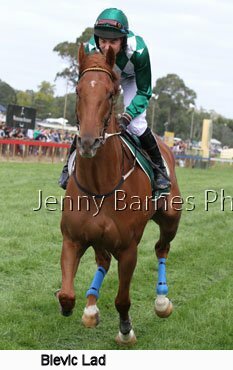 On arriving at Oakbank the standout of the drive in was the huge amount of cars already filling the carparks on course as racegoers arrived in their thousands to enjoy a festive day out. 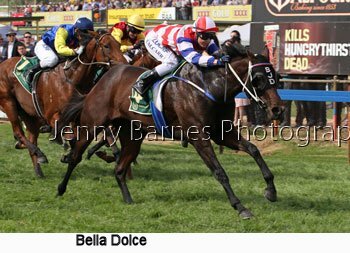 The day's weather turned out to be perfect as the race carnival enjoyed one of its biggest crowds for the Saturday meeting in recent times. 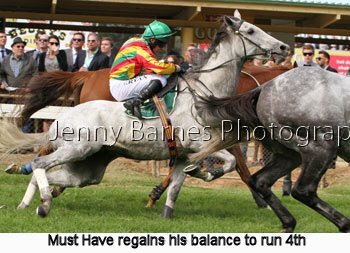 The Hurdle started proceedings with a full field of 12 runners with 4 making their jumping debut. 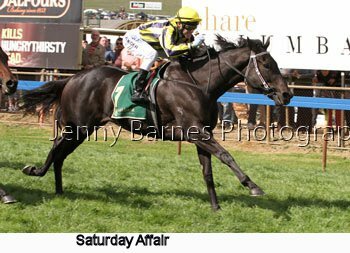 Three of those debutants in Blevic Lad, Doc Hennessy, Exalted Coco joined Fair Script from New Zealand in sharing the early lead as the field sailed over the first 3 jumps with ease. 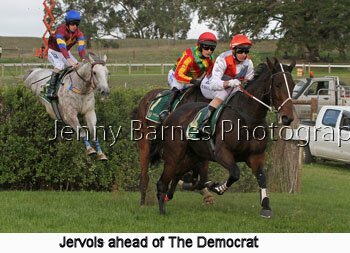 Around the turn to head down the hill Doc Hennessy took over from Exalted Coco with Blevic Lad third ahead of Auld Burns then Fair Script followed by Matesy. 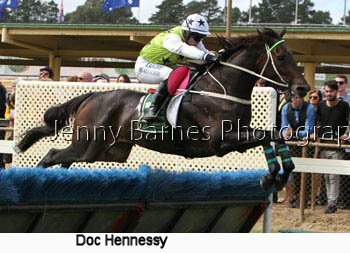 Doc Hennessy was a clear leader down the straight but showed his greeness in going a little keenly and drifting out over the jumps from Exalted Coco and Blevic Lad then Auld Burns. 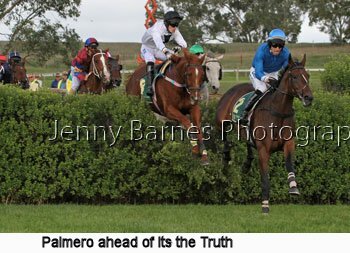 Over the jump along the back Doc Hennessy was still going a little too keenly and pegged on landing as he ducked out becoming unbalanced and nearly unseating his rider who did a great job staying in the saddle as Auld Burn also jumped a little awkwardly moving up to second from Blevic Lad then Fair Script with Must Have moving forward while Exalted Coco was closer to the inside ahead of Scotland the Brave. 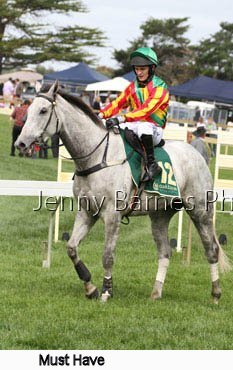 Doc Hennessy was still in front over the next but was soon joined by Blevic Lad and Auld Burns as the fields started to pack for the run home. 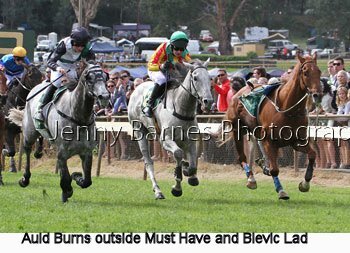 Doc Hennessy was just ahead after the next as they started the turn for home but the early effort started to take its toll with Blevic Lad and Auld Burns moving up on his inside then Must Have running on. 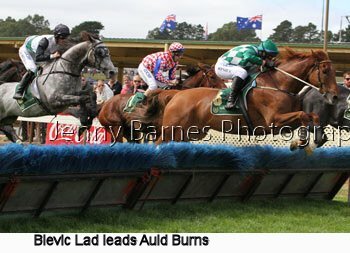 In the home straight coming to the second last Blevic Lad shared the lead with Auld Burns then Must Have closing with Flying Tap wider out as Matesy was retired from the event after losing ground around the home turn. 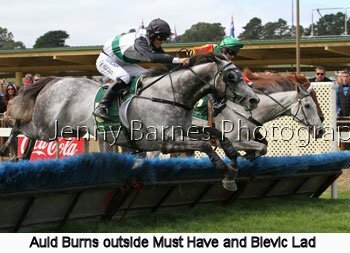 Blevic Lad misjudged the fence and his jockey was bounced out of the saddle while Auld Burns landed awkwardly drifting out as Must Have went for a run between them with Fair Script making ground with Scotland the Brave. 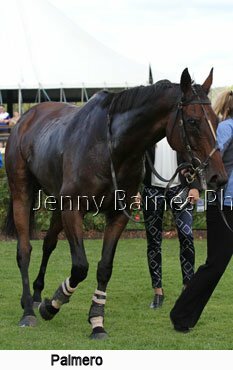 Coming to the last Auld Burns was in front as Must Have made his run (and the riderless Blevic Lad stayed with them jumping the last well) with Scotland the Brave running on from Fair Script who had been checked to ensure they avoided the fallen rider. 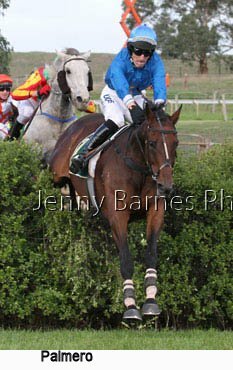 Over the last Auld Burns put in a fantastic leap but Must Have misjudged the fence and stumbled on landing (see photos below) but somehow horse and rider stayed together as Scotland the Brave and Fair Script set out after the leader. 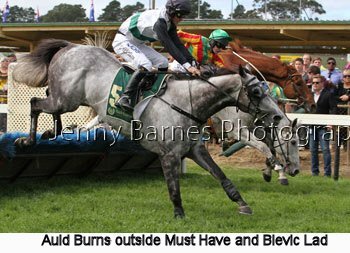 In the run to the line the riderless Blevic Lad fought on hard to actually cross the line a head in front of ultimate winner Auld Burns with Scotland the Brave second from Fair Script with Must Have rebalanced and running on for fourth just ahead of Flying Tap. 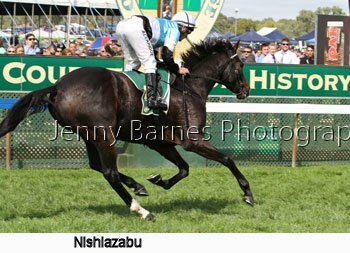 In the next race Nishiazabu was far too good winning the 3600m eased up from Elldami who tried hard with dual National winner Dubhdara third ahead of Who Says I'm Ready. 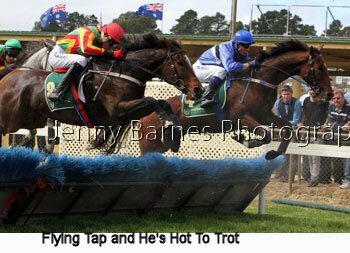 Its not often there are 2 jumps races on a card and its a flat race that is run over the longest distance. 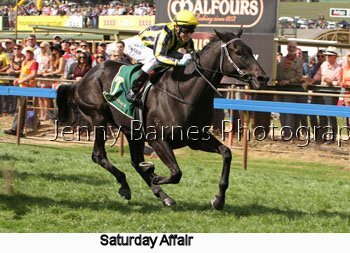 Saturday Affair was successful in the next race from Streetcar Valour with Ace or Joka third from Lord Ashford. 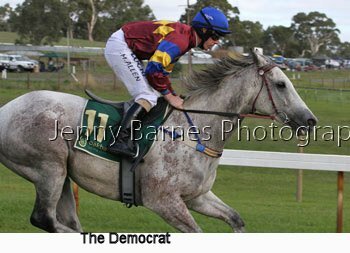 Race 4 created sensation on the internet across facebook later in the afternoon with jockey Libby Hopwood preventing a fall by pushing Holly McKechnie back into the saddle when the latter look sure to fall just after the start of the race where runners were a bit wayward out of the gates. 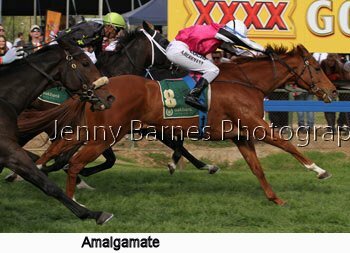 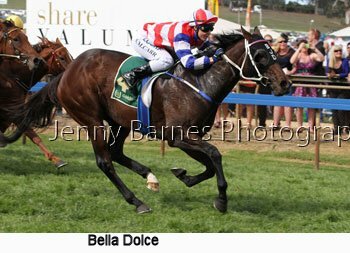 Ultimately Bella Dolce won from Azzcool with Kooda Duchess third as only 4 1/2 lengths covered the entire field as they passed the post. 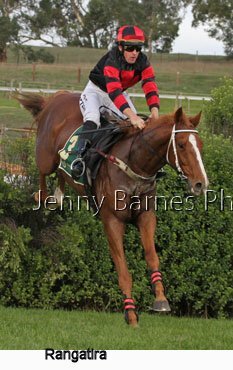 In the Onkaparinga Cup Amalagamate was too good for Distillation who had won a hurdle trial during the week with Cheiftain Jack third from Lennybe. 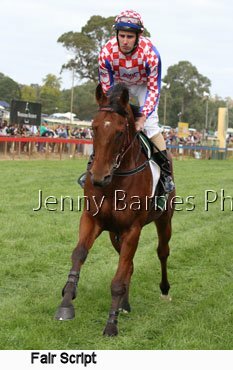 It was then time to head out to the steeplechase track for the Von Doussa Steeplechase the first of the days two feature races. 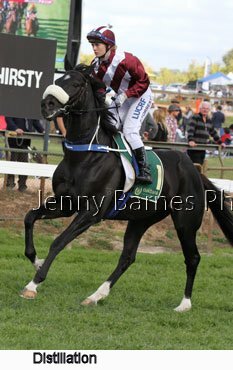 A classy field lined up where every horse had won or placed over the jumps inlcuding feature winners Lord of the Song and King Triton plus promising jumper Palmero and four New Zealand visitors amongst the 12 runners. 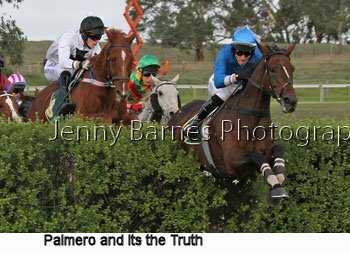 Palmero led early from Its The Truth before Rangatira stormed to the front. 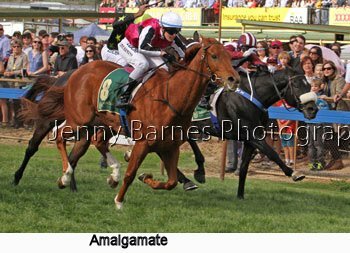 Over the fallen log Rangatira continued to hold a good lead over Palmero then Its the Truth followed by Riviera Star and Mateo then Jooli Lad. 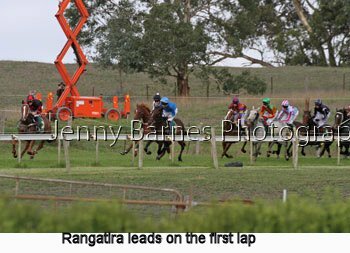 Little changed as the field packed up in the flat run along the home straight before heading out onthe second and final lap of the steeplechase track. 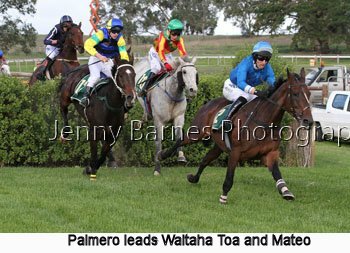 Over the fallen log the second time Rangatira led from Palmero then Its the Truth as Waitaha Toa started to make a run on the outside from Mateo closer to the rail. 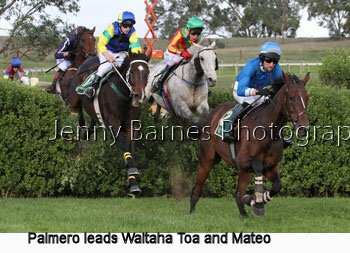 Coming down the hill to the next jump Rangatira lost ground as Palmero led from Waitaha Toa then Its the Truth with Mateo and Lord of the Song making ground. 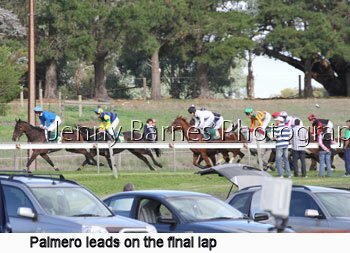 Over the second last Palmero was in front from Waitaha Toa with Mateo on the inside then Its the Truth and Lord of the Song with Jervois moving up on the inside as the rider of Rangatira lost his outside stirrup on landing. 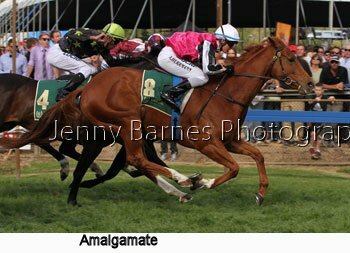 Palmero cleared the last and set of for home with Waitaha Toa chasing hard from Mateo with Jervois continuing to make ground inside Lord of the Song. 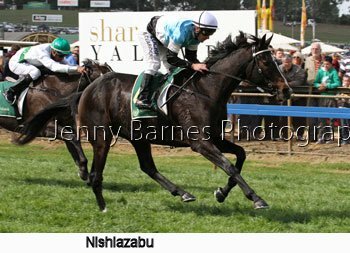 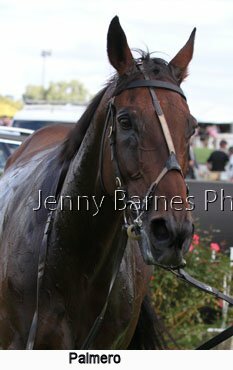 Palmero was far too good in the run to the line winning by nearly 7 lengths from Jervois with Waitaha Toa third from King Triton who ran on late with Lord of the Song 5th just ahead of Mateo. 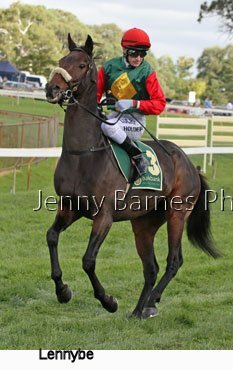 After the line Lord of the Song lost his footing and dislodged his rider while it appears that the rider of Waitaha Toa also came off when his horse went one way and he went the other (at the end of the race especially for horses wide on the track there is the main flat track run on ahead of them while the steeplechase track goes to the left where most runners go - it was suggested that this may have led to the jockeys being dislodged especially as M Cropp rider of Waitaha Toa ended up under the dividing section of rail). 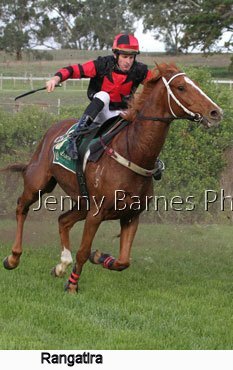 Neither horse was injured or even seen 'on the ground' only the two jockeys with their mounts galloping off following the other runners (no different than you will see at any equestrian cross country event). 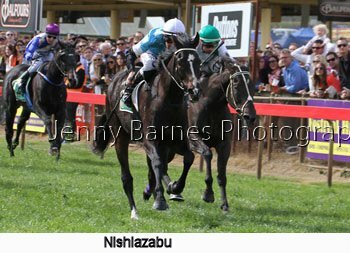 In the Oakbank Stakes Siwa Lady went straight to the early lead from Aurumcert then Lady of Harrods third. 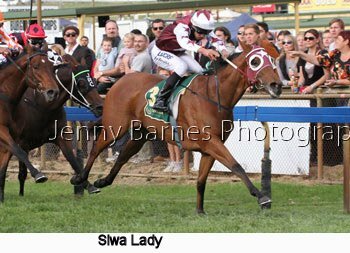 Around the home turn Siwa Lady led Lady of Harrods followed by Natural Disaster and Aurumcert. 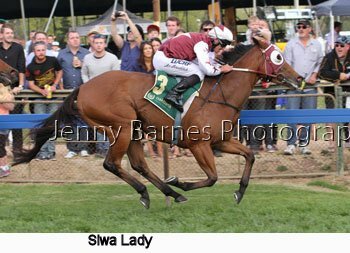 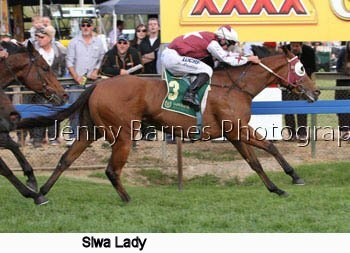 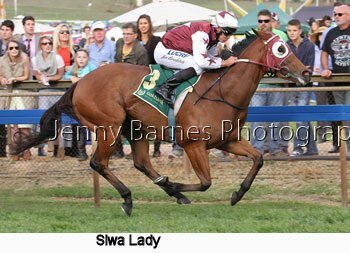 In the run to the line Siwa Lady was too strong holding off the challenge of both Whitlam closer to the rail and Justify That who came from last to grab third. 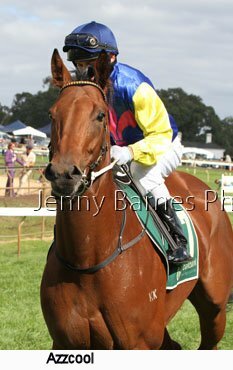 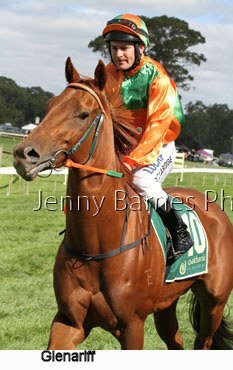 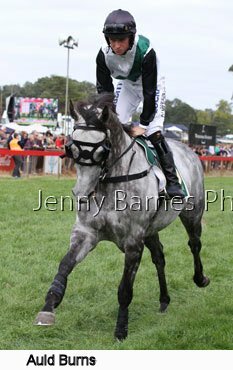 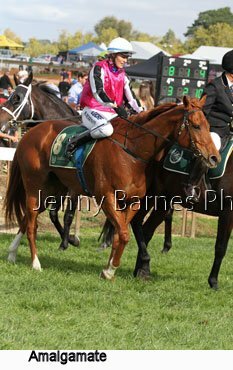 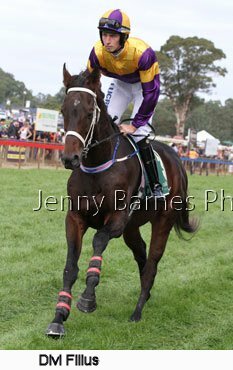 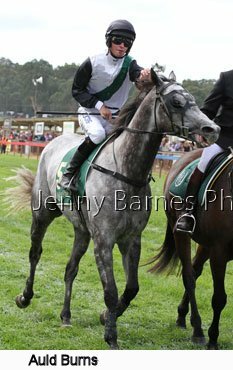 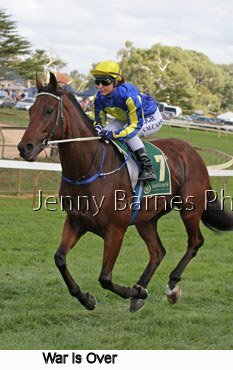 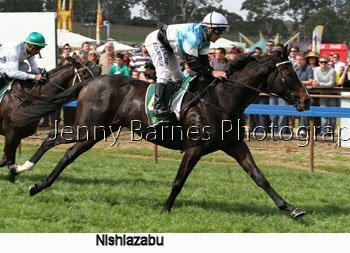 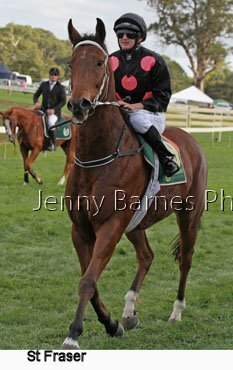 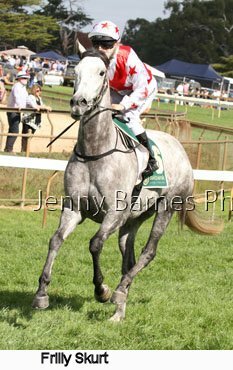 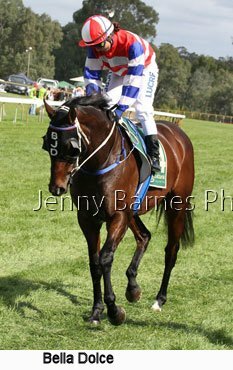 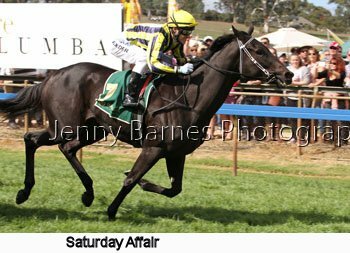 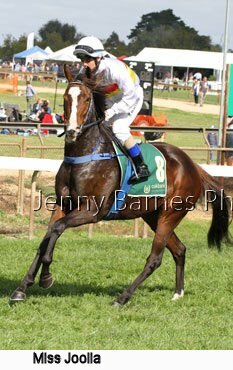 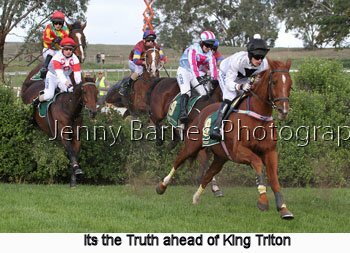 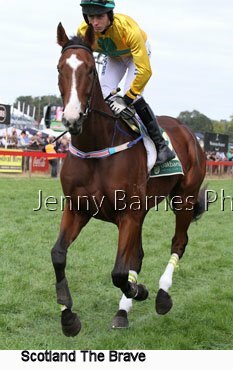 King's Pardon defeated Mitford Girl and Real Fantasy as the final race closed day 1 of the Oakbank Easter Carnival.